Sorting tray with gridded insert for sorting foraminiferous sand. Foraminiferous sand requires sorting to identify the forams within the sample. The conventional menthod of doing this is by systematically viewing the sample on a gridded tray under a microscope. This plastic tray has a sorting pan measuring approx 12 x 8cm. Depth is 4mm. The grid insert is removable for easy cleaning. 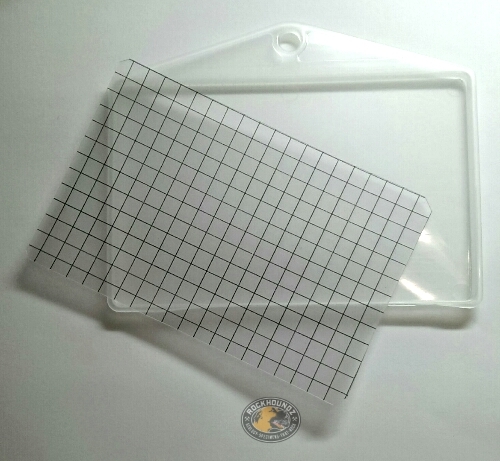 Grid squares are 6 x 6mm.